Cahill Construction Ltd is nestled in the town of Souris , which is in the eastern end of Prince Edward Island, Canada. Cahill Construction has established it's self in the community as a local business leader and a contractor that can be trusted to do things right. Our company has a wide array of know-how because of the dedication of our owners and employees, many of which have been with us since its inception. Our unwavering promise to deliver superior service and a completed product that is second to none is what keeps us strong and makes Cahill Construction one of the leading contractors on Prince Edward Island. Whether it is residential, custom, repairs, additions, commercial or concrete work we will provide full service for your every need. If you live on the island or off we can also provides a complete project management service. Cahill Construction, Ltd. (CCL) has built a reputation as one of Eastern Prince Edward Island's finest builders. CCL has the knowledge and staff to plan, execute and successfully complete any construction project you might have. From a small addition to a custom designed home or building we can make it all happen. At Cahill Construction Ltd. we strongly believe in building a personal rapport with our customers to develop a better understanding of their requirements and expectations. 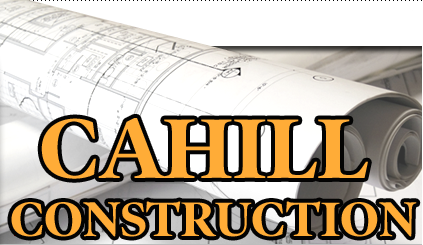 Cahill Construction Ltd. provides a professional service and quality workmanship that we believe clients' expect. Our skilled workforce has the flexibility and experience to take on projects ranging from minor repairs, maintenance, major renovations and complete new structures. Cahill Construction Ltd. understands that the construction industry is a service industry, and that the companies that best serve the client's needs will continue to be successful. Cahill Construction Ltd. is one of those companies.. Copyright ©2017 Cahill Construction Ltd. All rights reserved.